An objects of intellectual property rights are intangible assets with economic value, expressed in a manner and an objective form, set out in a legal rule, which primarily are the result of creative activity. – All other objects relating to intellectual activity. Requirements for legal protection of copyrighted works include the work to be a result of creative activity and meet the possible expressions and forms of creative activity. Industrial property are also intellectual outcomes that can be inventions and utility models (objects of patent law), marks and geographical indications, as well as companies (subject to the rights of signage), industrial design (subject to the right of the design ) and rights arising from unfair competition. So what could be protected? You have an idea for a product, logo, business, book, music, industrial design. Could the idea be a subject of protection? 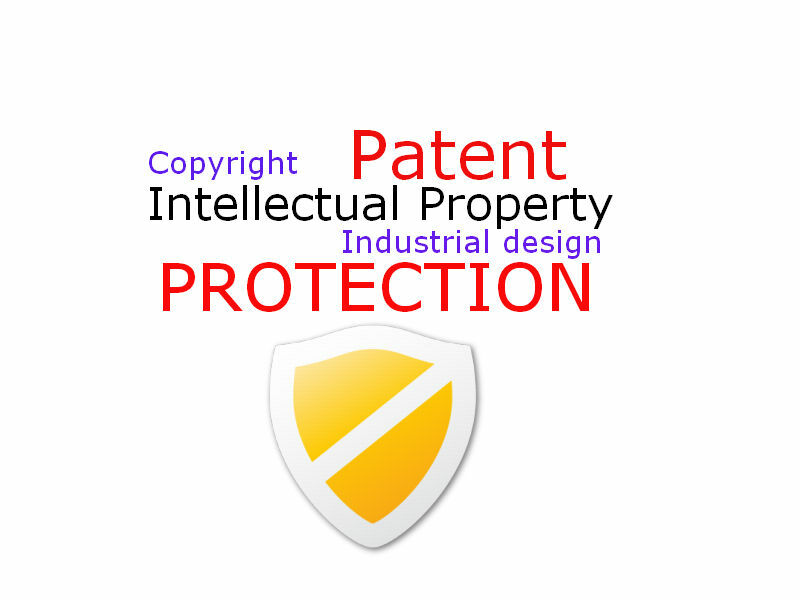 Intellectual property is unique object which you have physically created – single idea could not be intellectual property, and cannot be a subject of IP protection. Than ok, so when I own intellectual property? 1. You have created something unique, that match all requirements established into the law for an industrial design, trade mark, a patent or copyright. 2. You have bought rights over intellectual property from its initial / previous owner. 3. You have well established brand, trade name / product that could be a trade mark. What constitutes a violation of intellectual property rights? Unlawful use by third parties of legally protected object-matter intellectual property, ie without the consent of and in spite of the holder of subjective rights constitutes a violation of rights to intellectual property. The diversity and differences in the legal regime of intellectual property determining and the differences in the legal framework in relation to violations of the rights to them. Bulgarian law does not provide a general definition of infringement of an intellectual property. 1. Rights infringements subject to copyright. 2. Violations of the rights objects of industrial property. 3. Violations of all other rights of objects in relation to intellectual activity (the know-how and show-how). The indication of the types of objects is not exhaustive, but to facilitate the application of the law lists various works of literature, art and science, such as literary works, including works of journalism and computer programs; music; stage works; films and other audiovisual works; works of art; works of architecture; photographic works; projects, maps, charts, plans, etc. ; layout of printed matter; translations and adaptations of existing works; periodicals, encyclopedias, collections, anthologies, bibliographies, databases; arrangements of music and folklore. Art. 94 (1) Whoever violates the copyright, related right or any other right under this Act shall be liable to compensate the holder or the person who has been granted the exclusive right to use. (2) Compensation shall be due for all damages which are the direct and immediate consequence of the breach. (3) When setting the amount of compensation the court shall take into account all the circumstances of the breach, lost profits and non-pecuniary damage and revenue earned by the offender from the infringement. (4) The court shall determine fair compensation that should a deterrent and a warning to the offender and other members of society. 2. equivalent to the subject of the breach at retail prices of legitimate reproductions. (2) On determining the compensation under par. 1 be taken into account and income resulting from the infringement. 5. To be forwarded to him the objects under item 3. 6. Disclosure expense of the infringer of the operative part of the decision of the court in two daily newspapers and in a time zone from the court of television organization with national coverage. (2) Seizure within the meaning of para. 1, p. 3 and 4 can be required, both in terms of objects located at a particular location and in terms of the objects situated in shops in general. Legal persons and sole traders bear civil liability for violations of rights under this Act committed by the guilty persons who are, respectively, their employees or persons employed by them. In this case, guilt is assumed until proven otherwise. Next post will be related to Violations of the rights objects of industrial property and its protection.